The Crane Project This project came about as NIFF wanted to practically respond to the concerns members were raising about hate crime towards faith communities. After receiving funding from Northampton Borough Council NIFF is working in partnership with Northamptonshire Rights and Equality Council to increase awareness and reporting of hate crime in Northampton. Luisa Jepson, the project coordinator, will be working with volunteers in faith communities and voluntary organisations to take reports of hate crime, access emotional and practical support and ensure victims have confidence to report to the police. The reports will also be used to gain a true picture of hate crime in Northampton to provide statutory agencies, such as the police and councils, a focus on how they need to tackle hate crime in the town. Why Cranes? 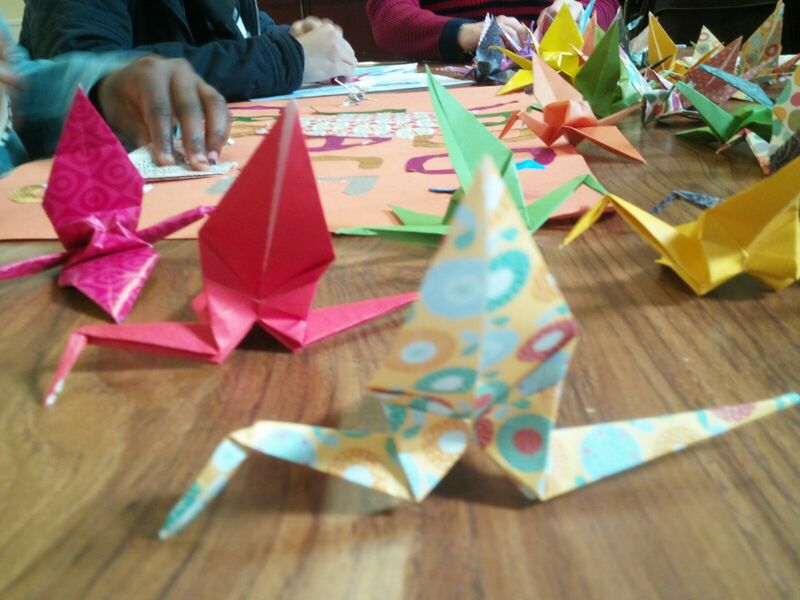 Members of NIFF have been making peace cranes and thought it was appropriate to have a symbol of peace to counteract the hate in this world. We made 1000 Peace Cranes and these are now displayed at The Market Sanctuary meditation centre, Simon De Senlis Court, Northampton. What is a hate crime or incident? There are many technical definitions of what constitutes a hate crime or incident, but simply put if someone makes you feel frightened, embarrassed, ashamed, hurt or upset because of the way you look, your faith or religion, your ethnicity or nationality, gender and transgender identity, sexuality or disability then it is important that this is recorded as part of this community project. Where can I report a hate crime or incident? The project plans to roll out reporting locations to as many places as possible across Northampton. As new locations join their details will be published below.